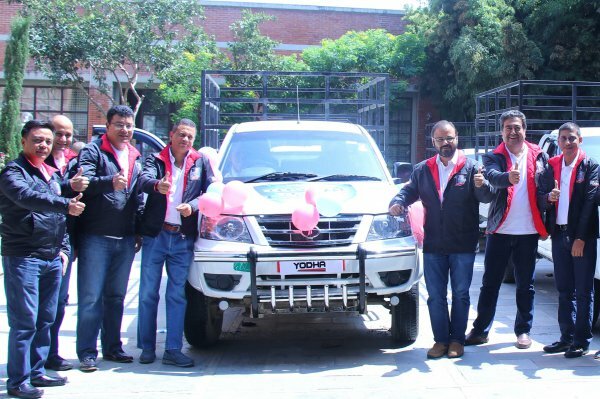 Tata Motors, in association with its authorized partners in Nepal, Sipradi Trading, today announced the roll-out of the Tata Yodha at an event in Kathmandu. According to the company, the Tata Yodha comes with impressive features that give it a competitive edge. It will be available in multiple variants equipped with a powerful 85 HP 3.0L engine generating 250Nm of torque, making it a category leader. This, along with its best in class ground clearance make the new Tata Yodha suitable for diverse business requirements like transporting agri-produce (fruits and vegetable), poultry, fish, milk, cash van, service support vehicle at construction sites etc.